The pain you feel today is going to be the strength you feel tomorrow... a common saying which carries so much meaning! Actress Sonakshi Sinha is exemplifying this statement, and in the most motivating way possible. 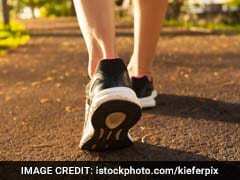 Her regular followers on Instagram would know the actress' fondness towards fitness. Sonakshi is also one of those B-towners, who made a mark in the industry with her remarkable weight loss journey. With Sonakshi Sinha, weight loss goals seem to be even better as the actress has just gotten fitter and in better shape with time. 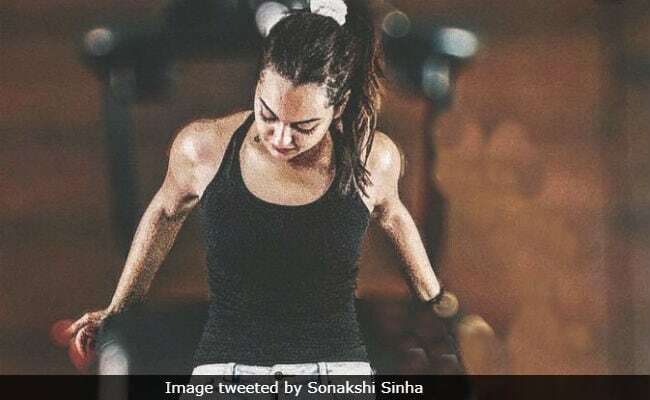 Sonakshi is a regular Pilates girl, one of the most featured Bollywood stars in celebrity Pilates trainer Namrata Purohit's Instagram account. But the latest video which Sonakshi Sinha uploaded is particularly inspiring and downright motivating. She attempts at a very complex move, which required being head over heals (well almost). In the video, Sonakshi can be seen shaking while trying to perform the exercise. This is a mere testament of her undying willpower to try the move, even though she agrees she had been avoiding to do it for quite some time. In the caption of her post, Sona writes, "For months ive been avoiding this because i was always too afraid id let go of my hands and fall on my head, but i finally decided to give it a go, under the fine tutelage of @namratapurohit! Still a bit wobbly, but thats cool because its the first attempt, i know she'll make a monkey out of me pretty soon, and ill have a more graceful video to show for it as well! Progress is a stepping stone to perfection, remember that! (sic)"
Thanks Sonakshi! This is going to be inspiring for many!